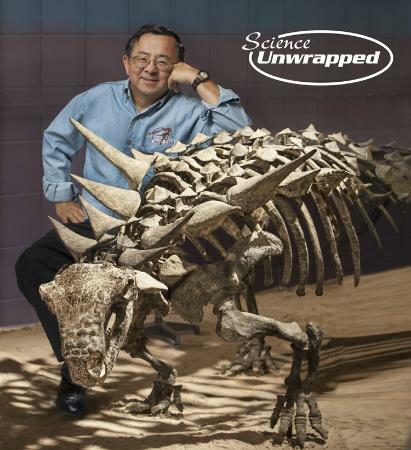 Kenneth Carpenter is a Japanese-American paleontologist, specialising in a number of areas: paleopathology (study of diseases) in dinosaurs, biomechanics of dinosaur limbs, taphonomy (the fossilization process), dinosaur ontogeny (growth from embryo to mature adult), dinosaurs from the Morisson and Cedar Mountain formations, and the study of thyreophorans (stegosaurs and ankylosaurs). Kenneth was born in Tokyo, Japan. His love of dinosaurs began at age five when he watched Godzilla. When he was in high school he discovered fossils belonging to a giant sloth. He received his bachelor's degree from the University of Colorado in the United States in 1980, and his PhD from the same university in 1996. He is currently the director of the Prehistoric Museum at the Utah State University Eastern. Kenneth has named at least twenty-three dinosaurs throughout his career, including Gojirasaurus quayi.